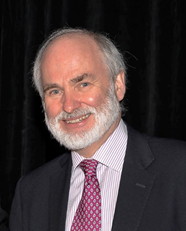 Gwyn Griffiths received the B.A. degree in electronic engineering from the University of Essex, U.K. in 1975, and the M.Sc. degree in underwater systems engineering from the University of Birmingham, U.K. in 1976. He joined the Institute of Oceanographic Sciences, Wormley, U.K., in 1976 and the National Oceanography Centre, Southampton, U.K. at its formation in 1995, retiring as Chief Technologist in 2012. From 2000 to 2012 he held a part-time Chair in Underwater Systems at the University of Southampton, U.K.
His research interests centre on underwater technology and applications for oceanography, especially on instrumentation and autonomous marine vehicles and fostering their use by the research, defense and commercial sectors. He is an Honorary Fellow of the SUT, a past Chair of the SUT Council and a Past President. His awards include the David Partridge and President’s Awards from the SUT and the IEEE OES Distinguished Technical Achievement Award.